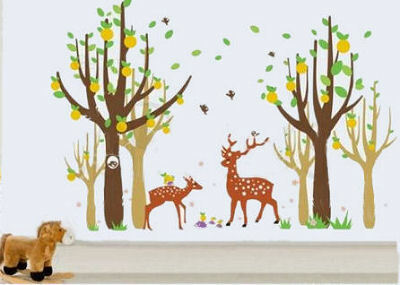 Collections of deer wall decals and stickers featuring squirrels, owls, raccoon, a fox and other woodland friends is an effective and inexpensive way to decorate your baby's nursery walls. Hunting themed chalkboard art presents an inexpensive means of decorating the walls of the baby's nursery with whitetail deer antlers including a quote that can easily be personalized. There are many creative craft and DIY projects that will put any trophies to good use and make the hunter in your family proud. Baby deer and forest creatures surrounding the crib create a peaceful scene. 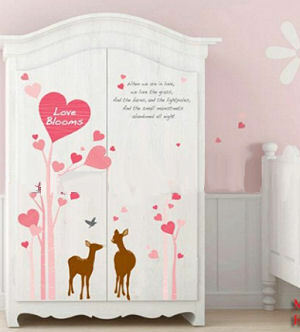 If your baby's deer crib bedding set doesn't work well with colors, perhaps silhouettes are the way to go. 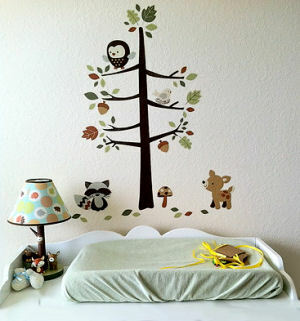 Light, neutral colored stickers featuring forest scenes of trees with bare branches and deer would create a beautifully peaceful realistic mural in a rustic nursery with a dark wall paint color. 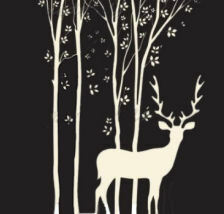 Reverse the dynamics using deer wall decals in dark vinyl on a light wall. 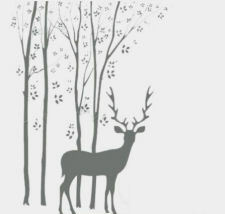 Custom order tree wall decals including a buck deer as part of the scenery as a set or use your imagination to create your own unique vignette using stickers you may have used in another decorating project. 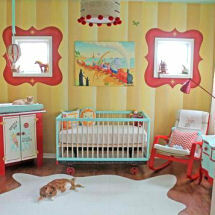 Of course, bright color is just as acceptable in a deer, moose or baby bear nursery theme as a rustic color palette. Playful bears, raccoons and squirrels playfully dangling from a tree branch while a doe watches from the ground make a delightful sight for eyes longing for a trip to the country. 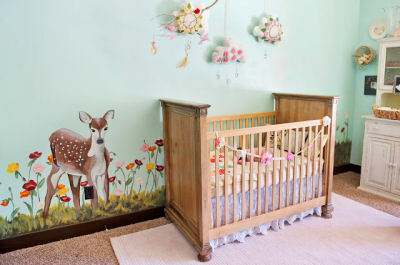 A large collection of deer wall decals can be a lifesaver for a parent decorating a baby's room with a large amount of space to fill. In this situation a decorator might consider using several sizes of tree wall stickers for depth, a buck as well as a doe and their forest friends. And deer stickers aren't just for a baby boy's deer nursery theme nor are they just for walls. They can be used to decorate the front of the nursery armoire and are right at home with colors like pink and purple that are often found in a girly, girl's room. Please make plans to visit Unique Baby Gear Ideas again soon to see wall decorating ideas, stickers and craft projects featuring our forest friends.